So, for years, non-surgical fat reduction procedures have been one of the fastest-growing categories in the aesthetics market. People are looking for more non-invasive solutions to reduce what they see as problem areas, with the smallest amount of negative side effects. 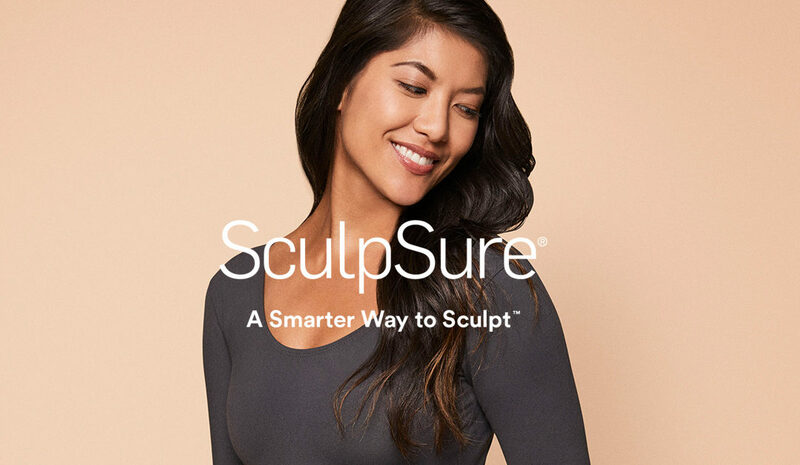 SculpSure’s multi-applicator system allows customized treatment that is convenient and comfortable for any body or skin type. SculpSure is convenient and well-tolerated, with most patients feeling nothing more than a warming sensation. It requires nearly half the time (generally 25 minutes) of fat-freezing procedures, and does not bruise or damage the surrounding skin, which can happen with suction-based technology. SculpSure uses an applicator head that sits on top of the skin and does not use suction. The heat from the laser spreads out beyond the applicator head to allow for better blending between treated and non- treated areas. The laser energy only targets fat cells, so nerves, vessels, and skin are not affected. Since there is no recovery time with SculpSure, patients can return to normal activities immediately. The short procedure time makes body sculpting more accessible, with patients often having SculpSure during their lunch hour or after work. In addition, patients may have multiple areas treated on the same day. SculpSure was developed by Cynosure, creators of energy-based aesthetic and medical treatment systems. Cynosure is the medical aesthetic division of Hologic, that develops and manufactures treatment applications not only for body contouring, but also for hair removal, skin revitalization, scar reduction and gynecological health.